Or, what we do and why. 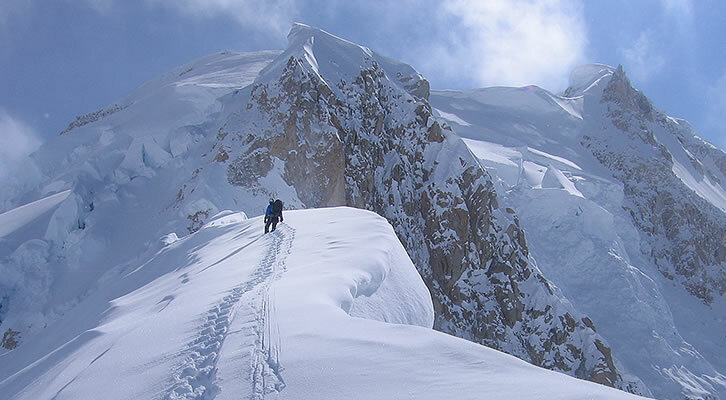 We only make products within our sphere of first-hand expertise: climbing and mountaineering. Our aim is to support climbers at the sharp end with products that are functional, robust, and light. Like climbing itself, designing products requires intellectual discipline. Why include features that add weight, cost and complexity, but simply get in the way? We believe in product durability and longevity. We try to prolong the life of our products by offering spare parts and providing a repair service. Great products are rarely the result of design flair or manufacturing developments, but an evolution of learning and listening to feedback. We encourage and accept all criticism – our products are the sum of users’ experience. We aim to get out products “right” from the outset. Any changes introduced from one production run to the next are small and incremental, and reflect our own learning curve. What we don’t do, however, is sell product X this year and model Y next year. We are not a marketing company. We say things as they are and don’t use hyperbole.